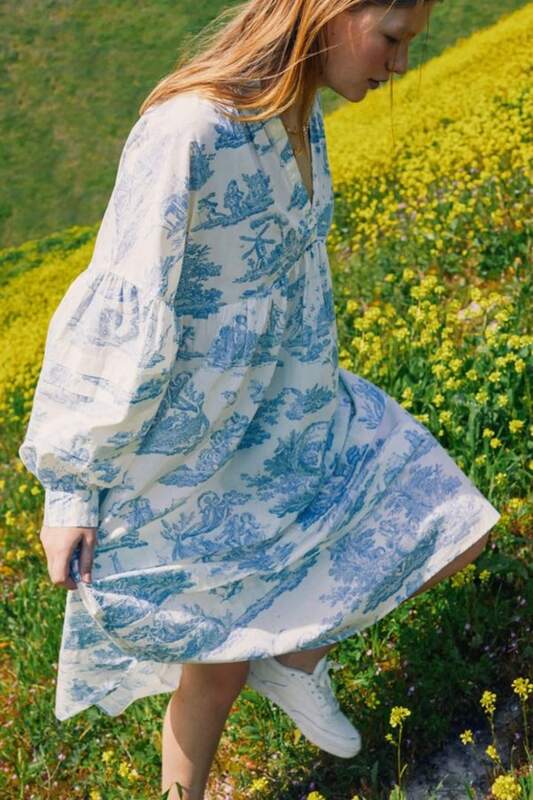 If you miss stepping out of the house on a beautiful spring day in your favorite Laura Ashley prairie dress, you're in luck! The iconic brand celebrated its 65th anniversary last year and is embracing their nostalgia-induced popularity in a new partnership with Urban Outfitters. This isn't the first time the two brands have teamed up. 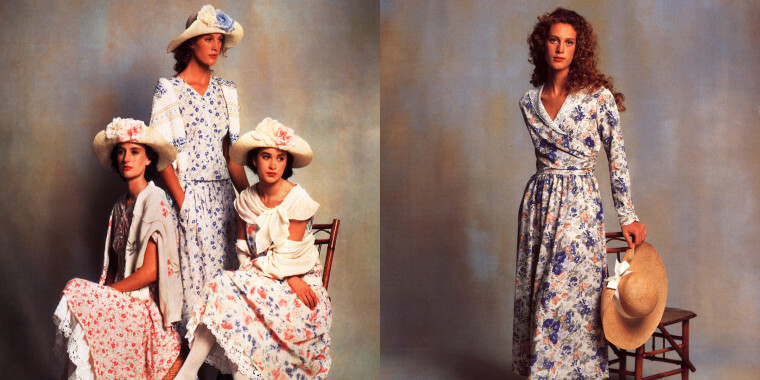 Last August, they launched a line of clothing that featured Laura Ashley's quintessential floral motifs. The newest collaboration, released this week, takes it up a notch with a nod to the brand's influence on interior design. Essentially, you can furnish your whole life with this collection. The range includes spring essentials like flowing dresses, statement hair bows, even bathing suits! Plus, fans of the brand's home goods will appreciate the addition of toile bedding and removable wallpaper. We can't wait to fill our carts with these vintage-inspired goodies! Here are a few of our favorite items from the collection. 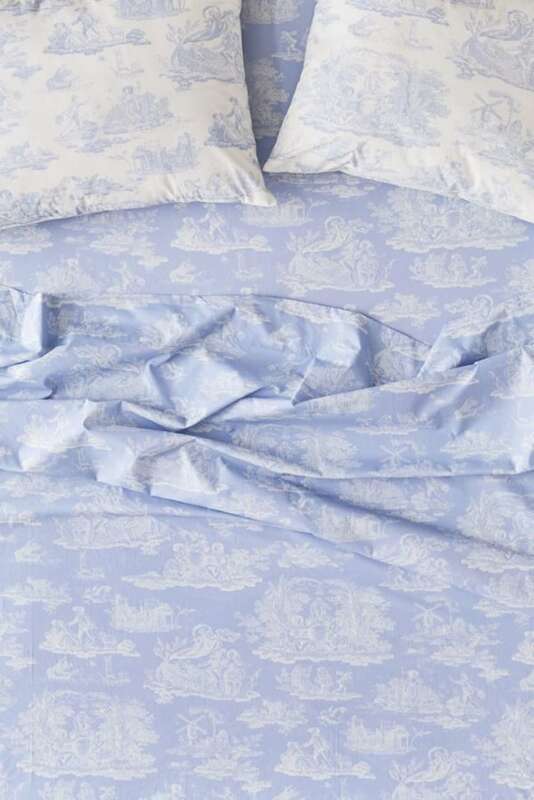 These dreamy bedsheets are a soft cotton weave with a vintage allover print. The set includes a flat sheet, fitted sheet and pillow cases (one or two depending on size). 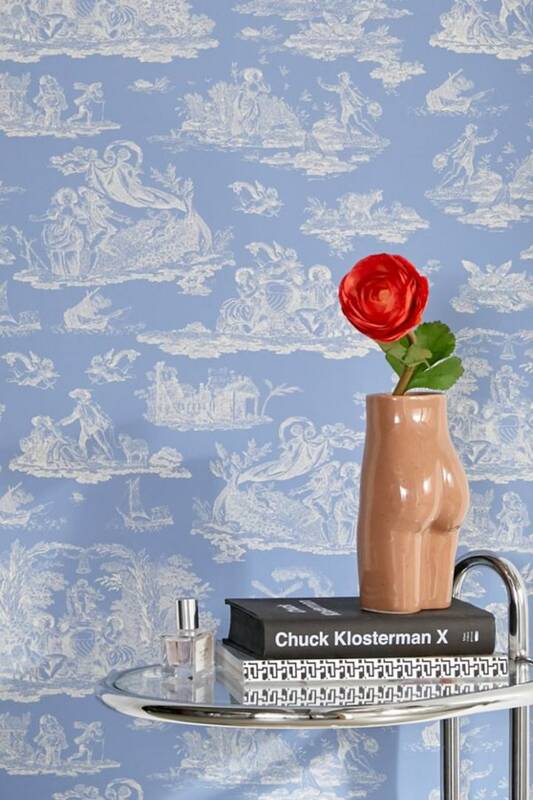 This gorgeous stick-on wallpaper is easily removable. Use it to create a fun statement wall in your bedroom or office. This elegant midi dress features an allover cherub print cut in a babydoll silhouette. It has a fun puff sleeves with ruffle trim at the cuffs. 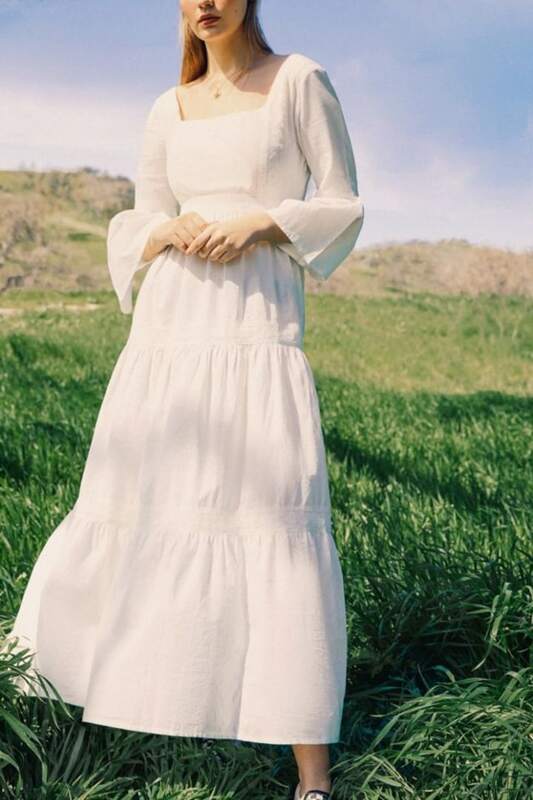 This vintage-style maxi dress is perfect for spring and summer. It's cotton with lace trim detailing and a tiered ruffle skirt. This fun pair of straight leg jeans will surely brighten up your spring wardrobe. They are high-waisted and made from cotton twill. 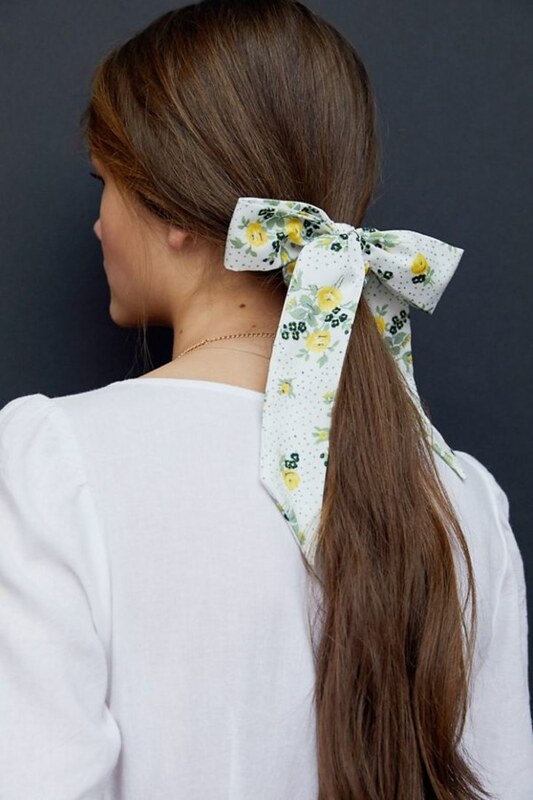 This retro hair accessory is too cute! It's available in yellow floral design or blue and white striped design.